With the special session behind us, it is time to refocus our efforts on education. Recent investments by Alabama state leaders are having an impact on student success. Over the last decade, legislators passed budgets that strategically invested in the First Class Pre-K program, which ranks as the best in the nation, a proven means of boosting future student achievement. A 2018 study by the University of Alabama at Birmingham found students who participate in Alabama’s pre-K program saw higher achievement in both reading and math scores, even into 6th grade, compared to their peers who did not. To further improve college readiness, state leaders have also been expanding access to Advanced Placement (AP) courses in order prepare students for higher education, while saving significant dollars in tuition costs. Traditionally, AP courses were only offered to a small percentage of students. 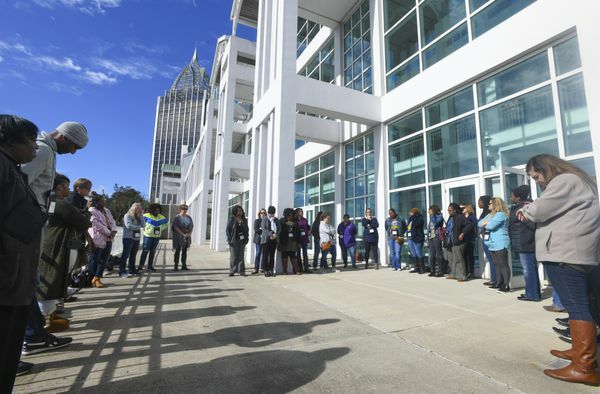 Through our A+ College Ready program, in partnership with the Alabama State Department of Education, Alabama has opened the doors to AP for thousands of overlooked students, particularly minority students, who have tremendous potential. This has had major payoffs: our students have saved up to $213,000,000 collectively in college tuition costs, and more students are entering college with proof that they are prepared for college, the workforce, and beyond. These examples of achievement prove Alabama can reach its potential. But there is still work to be done. In 2017, 87% of our students graduated, but only 71% of them were considered “ready” to enter college or the workforce by Alabama’s College and Career Readiness Indicators. This 18% gap between graduation and readiness must be closed to ensure students are prepared for real life. Ensure all students read on grade level: Refocus our efforts on the early grades to ensure all students have the support they need to read on grade level by fourth grade. Expand computer science education: Support and require computer science education to prepare students for the changing workforce. Computing occupations are the number one source of new wages in the U.S, according to Code.org. Strengthen teacher recruitment and retention: Support the proposed 4% teacher pay raise as one aspect of strengthening the teacher pipeline and ensuring students are taught by the best and brightest. Streamline Alabama’s public charter school process: Common sense updates to Alabama’s public charter school law will drive increased quality, efficiency and opportunities for students. Implementing these manageable steps will continue to improve public education for students across the state. There is no quick fix to magically solve our educational challenges. We must implement a broad array of effective solutions that will build the education system our children deserve.